Most online casinos carry a large number of online slot games because they are in high demand as players from all over the world like to test their luck and see if they can become rich quickly. 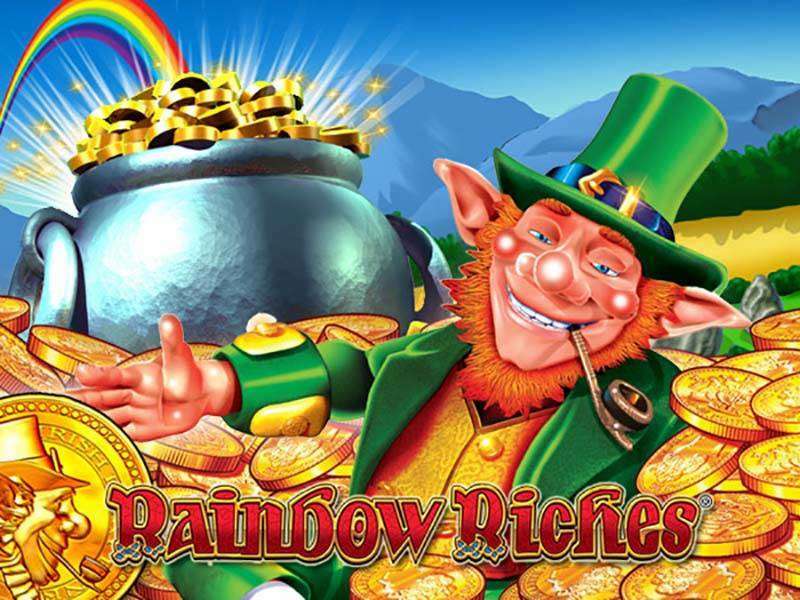 Rainbow Riches is one of the more popular online slot titles and there are a number of online casinos offering this slot title as a real money slot offering. Rainbow Riches by Barcrest Games is a 5-reel video slot with 20 paylines. This is a rainbow-themed kind of game that has card suits as its symbols for the most part but has coins with faces of leprechauns and pots of gold with rainbows in the background as the rest of its higher-paying symbols. It was mainly inspired by Irish legend regarding fortune and luck as well as being able to find a pot of gold at the end of rainbows. It also involves a bit of humor based on those lucky leprechauns and their ability to bring monetary richness. The game features a fairytale setting along with a number of interesting sound effects and animated scenes that really appeals to the inner child in all of us. On the surface, the game is quite appealing and represents the cartoony side of gambling games. If you are looking at cons, then we must point out that the game does have limited symbols and a pretty vanilla interface. 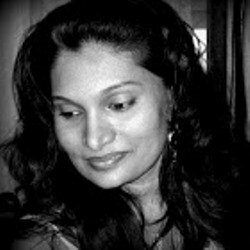 This game is not complicated to play as it is based on luck and does not involve any strategy. All you have to do is make sure you have real money in your account, then select the slot title, make a bet, press the spin button, and then try your luck. If you make the right combinations of symbols on a row or on the designated paylines, you can win your bet and make another spin. Things can go either of two ways. One you end up losing and decide to call it quits as you don’t want to exhaust your bankroll or two you end up winning and make a nice sum of money depending on your good fortune when playing at these online gaming sites with Rainbow Riches. Set your bets the way it suits your preferences or needs. You can set the coin size through the “Stake Line” portion and reduce or increase as needed by the plus or minus icons. You can stake as much as 0.01 of a coin or 20 coins. As for your paylines, you can add or subtract the amount of lines you want to bet as well. Activating the “Spin” button will let the reels start moving at your current bet. The Irish rainbow-themed game of luck also has an “Autoplay” option where you can have the reels spinning without interruption for a set number of times, with your fingers crossed that you will end up with more money than you initially invested than less money. You can access the game rules and paytable patterns with the “Paytable” button. The game’s Wild symbol is the golden coin, which can substitute all card suit symbols save for special symbols like the leprechaun, pot of gold, and wishing well ones. The golden coin with the leprechaun face engraving can also form its own winning combos if 3 or more end up in an active payline. Get 5 of them and you end up with 10,000 credits or coins. However, the true value of Rainbow Riches comes from its many bonus features, starting with the Wishing Well Bonus that is triggered with 3 or more Wishing Well Scatters. You get multiplier values on your stake when that happens. In regards to the Pot of Gold bonus feature, as long as the Pot of Gold icon land on the 2nd, 3rd, and 4th wheels, the feature will be activated. You are then taken to a screen with a leprechaun standing on a rock on the screen. Pots made of gold, silver, and bronze will then spin around him, and when they stop an arrow will pick one of the pots. The value of the pots will be applied as a multiplier to your stake. Finally, there is the Road to Riches bonus feature that is activated when 3 or more Leprechauns are found on any reels. You will get to pick random multiplier values applied to your stake as well as represented by a Wheel of Fortune. This game is very popular with slot lovers from around the world and for good reason. Yes, it does not have the most original of concepts and there are other Irish-themed, rainbow-themed, and/or leprechaun-themed online slots out there. In fact, many of them might even feature better graphics, animation, music, and character design. Some even improve upon the game’s flaws, like having a basic or simplistic interface with something more impressive, although other gambling games might end up going overboard with it and end up with something too ornate or overdesigned for a simple slots game. What makes this slot title so popular is that the game is not too simple nor too complicated and over the top. It does not try to be more than a rainbow-themed slot game and its simplistic parts and design choice to include more standard card suit symbols instead of original Irish iconography works to its advantage because it focuses more on bonus games and features. There are a few online casinos offering free spins on Rainbow Riches in order to give players a chance of trying out the game without using any real money of their own. You can carry out a simple Google search and then sort through the numerous iGaming sites offering Rainbow Riches and find one that offers free spins. You can also visit Barcrest Games Casinos to play the game for real money too.